Includes an exciting PowerPoint presentation on 15 Minutes of Play with loads of quilts! I give an inspiring talk about my process and how to push your creativity. I share enough to get you all creatively inspired, then we send you home on the creative buzz! I will cover: play, process, double wedding rings, and all new work. The lecture constantly evolves. Her work has been exhibited, written about, and featured on Sewing with Nancy and many other TV and online shows. 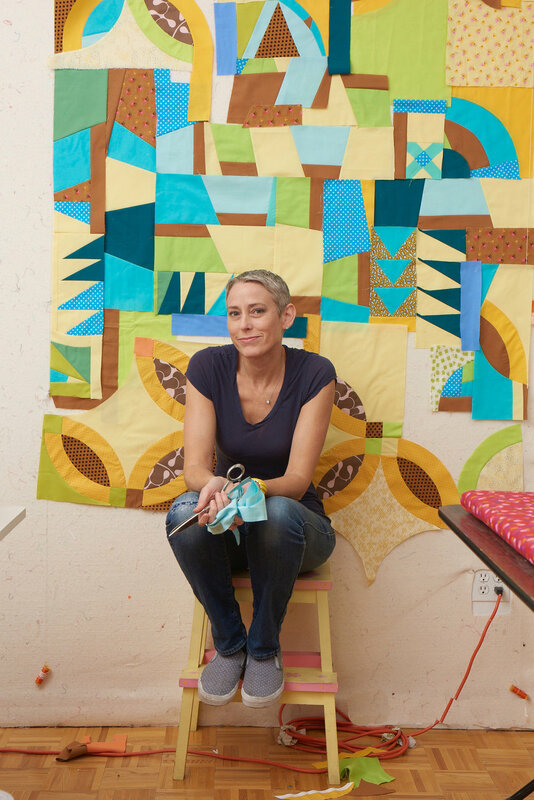 Her quilt Double Edged Love, won Best in Show at the first QuiltCon in Austin, Texas, 2013. Victoria has exhibited at the WMQFA, taught here multiple times, and serves on the museum’s Curatorial Advisory Board.